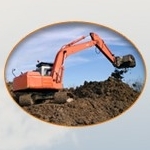 The Gloucester excavator hire services are ready to help you now. From the biggest jobs to the smallest excavator hire is there for you. R A Coldray (Builders) Ltd.
Is your business listed for Builders in Gloucester?